NS series is a HMI series from Omron and is now widely used programmable terminals. 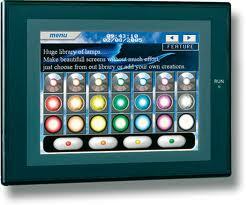 It comes in both monochrome and color HMI with 5.7-inch,8.4-inch, 10.4-inch, 12.1-inch etc. Some features of NS series Terminal are NS series Supports SYSMAC CJ2, Full access to CPU memory and tag access with EtherNet/IP. In this post we will tell you how to get NS series software for free legally. You will just have to go Omron site as it is freely available there. See below steps to get your free copy of NS Runtime. Subscribe to Automation-Talk by Email. 4. In product click on Software and then to NS-Runtime. 5. There you can see the download link of the NS-Runtime Software. 6. NS-Runtime is 77.52MB software. We have summarize the path for you as /downloads/4.Products/Software/NS-Runtime/NS-Runtime_V123/. We have also posted How to get NQ Designer Software Free Legally. Subscribe to Automation-Talk by Email for more tips and updates.